Traditional Acupuncture has been practised in China and other Eastern countries for thousands of years. This system of medicine not only takes into account the patients symptoms, but also looks much deeper, and aims to treat any possible underlying cause of disease; therefore enabling the body to heal itself and allow the person to benefit from a more permanent improvement of health, sense of well-being and a better quality of life. It is based on the principle that our health is dependent on the balanced functioning of the body’s motivating energy known as Qi (pronounced chee). This Qi flows throughout the body, but is concentrated in channels beneath the skin, known as meridians. 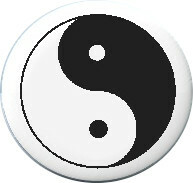 Many things are thought to upset this balance, disturb the flow of Qi and cause ill health or disharmony. By inserting fine needles into specific points just beneath the body surface, an acupuncturist aims to stimulate the body’s own healing response and help restore its natural balance, thus enabling the recovery of the equilibrium between the physical, emotional and spiritual aspect of the individual. Acupuncture is considered suitable for all ages including babies and the elderly. Many people turn to acupuncture for help with a specific symptom or condition such as osteoarthritis of the knee. Others choose to have treatment to help maintain good health, as a preventative measure, or to improve their general sense of well-being. Because traditional acupuncture aims to treat the whole person rather than specific symptoms in isolation, it can be effective for a range of conditions. In 2009 the National Institute for Health and Clinical Excellence recommended that acupuncture should be made available on the NHS, as a cost effective short term treatment for the management of early, persistent non-specific lower back pain. Acupuncture can be used effectively alongside conventional medicine. The initial consultation which takes approximately 1½ hours is very important and takes into account your current symptoms, past medical and family history, lifestyle and diet, behaviour of all the systems in the body such as digestion and circulation, sleep patterns and emotional feelings. This information is essential in determining the cause of the problem and the individual treatment that is required for each person. You will also receive your first treatment at this initial visit; which is based on the insertion of very fine, sterile, disposable needles into acupuncture points. Sometimes the application of warmth by burning a herb called moxa over the acupuncture point may be used on its own or in combination with acupuncture needles. There are also several diagnostic tests to ascertain the body’s energetic balance. Pulse taking is one of the ways in which the practitioner gains detailed information about the balance of the Qi within the person. Most people’s experience of needles is of those used in injections and blood tests. Acupuncture needles bear little resemblance to these because they are extremely fine. When the needle is inserted, the sensation is very brief and often described as a tingling or dull ache, which most people find quite acceptable. Usually the patient experiences a feeling of peace and relaxation during the treatment. This all depends on on the individuals condition, but most people will have treatment once a week until some improvement has been felt, usually around 4-6 weeks; then the treatments will be gradually spaced further apart. Sometimes two or three treatments are sufficient, whereas other people may choose to have regular acupuncture to maintain good health. Where possible I would suggest that you only eat a light meal before or after treatment and that no alcohol is consumed on the day of treatment in order to maximise the effectiveness of your treatment. Try to arrive for treatment relaxed and allow yourself to take things as easy as possible afterwards for at least two hours. It may help you to know that many private health schemes include acupuncture treatment in their cover. The results of two independent surveys published in the British Medical Journal in 2001 (MacPherson et al, White et al, both BMJ September 2001) concluded that the risk of serious adverse reaction to acupuncture is less than 1 in 10,000. Occasionally the person may feel slightly dizzy or tired after treatment and sometimes minor bruising may occur. However, all such reactions are short lived. All the needles used are sterile and disposable and the treatments are administered by a fully qualified acupuncturist who is a Member of the British Acupuncture Council. Please allow approximately 1½ hours for the initial diagnosis and 45 minutes for each subsequent treatment.